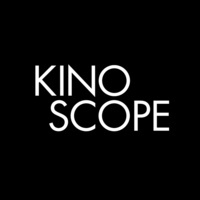 KINOSCOPE has a pleasure to present 2 rare experimental works, a short WOMB & feature SLEEP HAS HER HOUSE by one of of the most brilliant millennial filmmakers SCOTT BARLEY who garnered praises at international film festivals and exhibitions at renowned institutions. The screening will be introduced by KINOSCOPE programmer Pawel Wieszczecinski. WOMB (17 min) - The Mouth screams. Like a shadow, it looms on the event horizon. It swells, hunting the night like a snake in the dark. The laceration tears through the stars, devouring its meal. Within the nothing swims something of a memory of movement. Far beyond, something out of the black reveals itself. In the infinite womb, limbs drift suspended, like flies in a giant spider web. An infinite sea of pale flesh. Bodies without organs. Death's renewal awaits, as the bodies pass through the void. SLEEP HAS HER HOUSE (90 min) - The shadows of screams climb beyond the hills. It has happened before. But this will be the last time. The last few sense it, withdrawing deep into the forest. They cry out into the black, as the shadows pass away, into the ground. Through long static takes, the film develops a contemplative, hypnotic experience, akin to paintings that move, mixing live action and still photography (shot on iPhone) and hand-drawn images.The film is dedicated to the late French filmmaker and friend, Philippe Cote, who passed way in 2016. His work has been screened across Europe and The Americas, including The Institute of Contemporary Art (ICA London), BFI Southbank, Doclisboa, EYE Filmmuseum, Vancouver International Film Centre, and Fronteira International Documentary & Experimental Film Festival. His work has been associated with the Remodernist film and slow cinema movements, and more recently anthropocenic, cosmological, and phenomenological cinema. His work has often been compared with the sensibilities of Stan Brakhage, Philippe Grandrieux, Béla Tarr, Maya Deren, and Jean Epstein. His visual practice and research has been used as educational material on undergraduate and postgraduate fine art and film courses at UCLA Arts (University of California, Los Angeles), University of Paris III: Sorbonne Nouvelle, University of Illinois at Chicago, EICTV (Cuba International School of Film and TV), Winchester School of Art, Karlsruhe University of Arts and Design in Germany, University of Colorado Boulder, and SUNY (State University of New York). Since early 2015, Barley has exclusively shot his films on an iPhone. His short film, Hinterlands was voted one of the best films of 2016 in Sight & Sound's yearly film poll. His first feature-length work, Sleep Has Her House was released in early 2017, garnering universal acclaim, and winning Best Film - Official Jury award at FRONTEIRA International Documentary & Experimental Film Festival, in Goiânia, Brazil. It was later voted one of the best films of 2017 in Sight & Sound, Senses of Cinema, and The Village Voice film polls.